Is this the cheapest Windows 10 laptop in PH? IT could very well be true. The Sparc S1 Techbook is now available on Lazada Philippines, and it’s going for P4,999 (about $98) for a limited time. 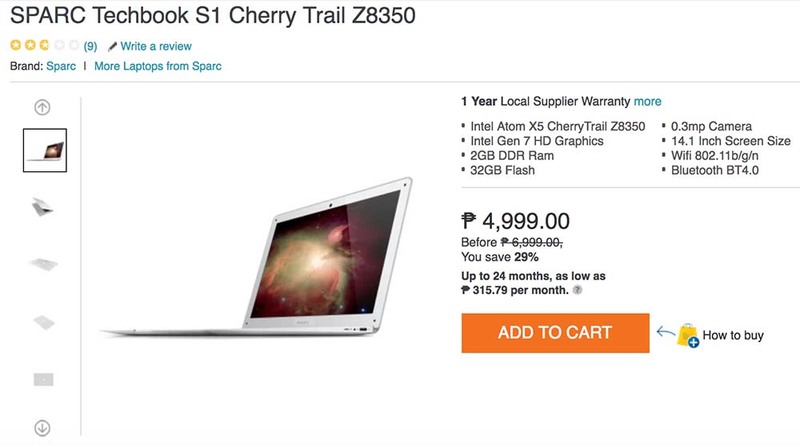 Its original price is P5,499 ($108), which is still crazy low considering the Techbook is a full-fledged Windows 10 laptop with what looks like — gasp! — backlit keys. If you’re looking to spend a little more money and you’re in demand of a computer which has a high specification to ensure that you’re able to do anything? I would look into the 13 in gaming ultrabook specs to see if these meet your personal requirements. Plus, it looks like an Apple Macbook Air, and has thin dimensions and a portable, lightweight body that comes in at only 1.1 kilograms. You also get a 14-inch HD screen; an HDMI connector, so you can hook up the machine to your TV or monitor; Wi-Fi and Bluetooth connectivity, both staples in today’s electronics; and up to 8 hours of battery life, per the promo video. There’s also a camera, which we’re assuming is of the VGA variety. Windows 10 Home is the S1 Techbook’s operating system of choice, while a quad-core Intel Atom Z8350 processor makes it tick. 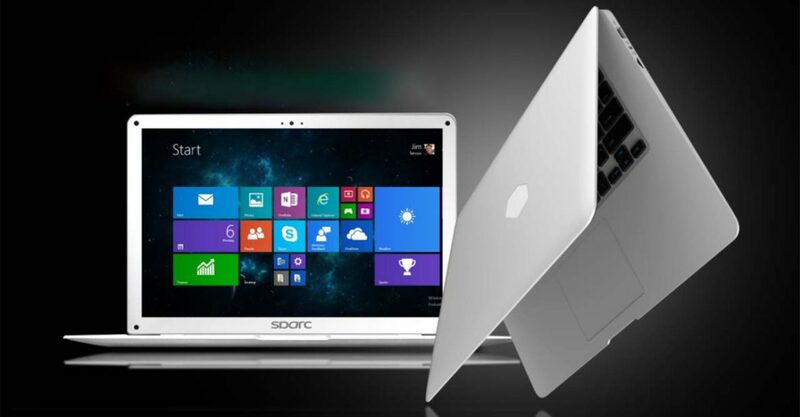 Of course, compromises had to be made to make this laptop as affordable as it is. There’s only 2GB of RAM onboard, whereas the flash storage is as low as it can possibly get at 32GB. That leaves you with around 13GB to 15GB of available space for your files, which is woefully limited, especially if you factor in the size of a 1080p video or a modern video game (not that you should expect to play heavy 3D games on this device.) Thankfully, the Sparc S1 Techbook has an SD card slot and two USB ports for storing data. Again, all these for the same money you’d spend on a low-end Android smartphone. Not bad at all.